That it was a center-back header off a set piece that guaranteed France a place in the World Cup final was apt for a journey that's extolled toil and decisiveness over attacking fripperies. No more sailor shirts and cockerel hats. 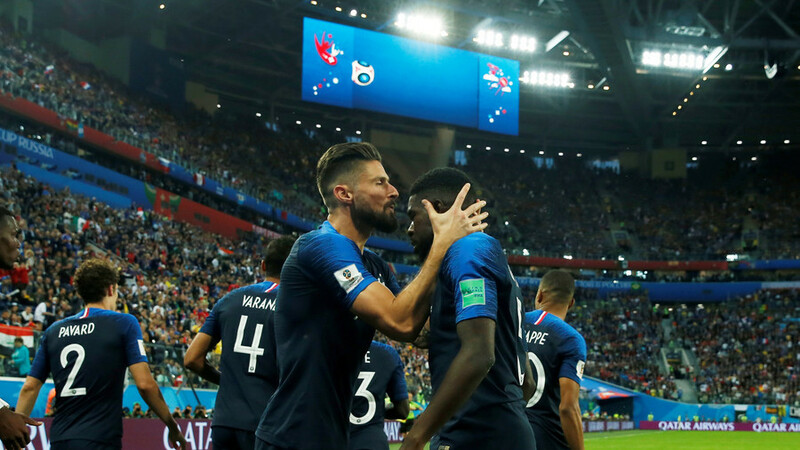 Just as his defensive partner Raphael Varane scored the winner against Uruguay in the previous match, in the 51st minute Samuel Umtiti rose high to direct his header past the endless stretch of Thibaut Courtois. Off another delivery from Antoine Griezmann, though a corner, not a free-kick this time. Fans will complain that Griezmann has not taken on the mantle of Zinedine Zidane from 1998 and 2006 (though Kylian Mbappe is doing a more than adequate impression of a young Thierry Henry). 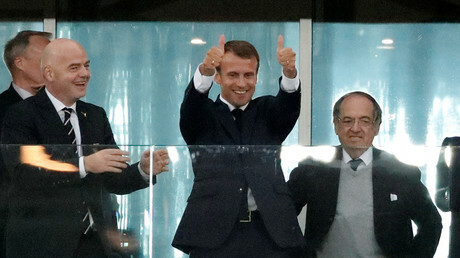 But those must remember that it took two freak goals from non-scoring right back Lilian Thuram to push Les Bleus to their first-ever final 20 years ago. And Didier Deschamps, another hero of 1998, portrayed as a philistine unaware of the banlieu-born jewels that had been bestowed upon him in advance of the tournament, will now feel vindicated. His team has grown stronger from match to match, and their ability to impose their dominance once in a winning position, both against Uruguay and here, is testament to a collective of formidable quality and nous. Yes, Olivier Giroud is still playing - scoring no goals, and trundling around as if his boots dig three inches into the ground with every step - but the big names, including Paul Pogba, are performing for their manager and teammates, and he has unearthed two new stars to the world in full-backs Theo Hernandez and Benjamin Pavard. The team will not care if they play England or Croatia on Sunday in Luzhniki, when they look to exorcise the ghosts of what looks like an even-more freakish Portuguese victory in the Euro 2016 final, a decent rehearsal for the current tournament. For Belgium, as for the neutral, in all honesty this game in St. Petersburg was a let-down after the thrilling battle against Brazil. 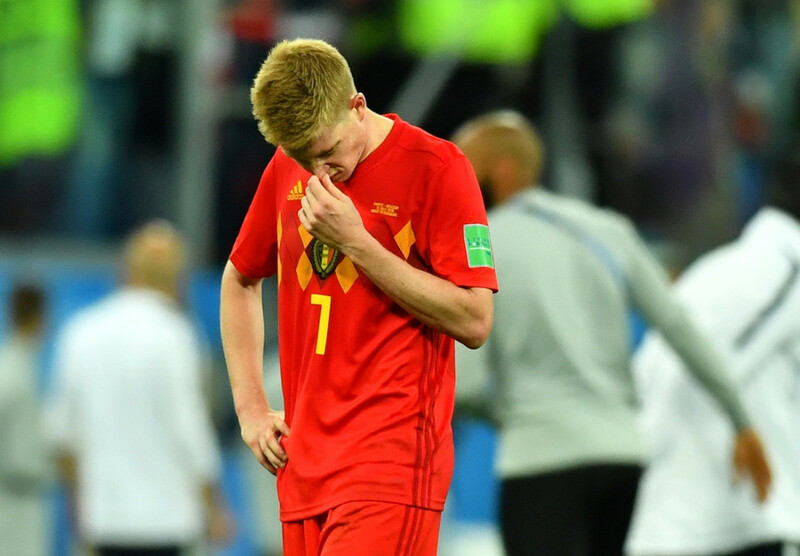 Perhaps, they gave all they had, and while that match will go down as one of the best from Russia 2018, the Red Devils will again feel that they didn't give a comprehensive account of their gifts. Roberto Martinez submitted a team sheet that suggested no obvious formation, and while his tinkering in Russia has partially restored a reputation damaged by his time at Everton, the gamble of including the previously underused Mousa Dembele did not pay off here. In a role reversal of the Brazil game, it was the red shirts that spent most of the opening period in the opposition half, leaving Les Bleus to counter-attack (dangerously, thanks to Mbappe's pace). Eden Hazard attacked, Kevin de Bruyne probed, Marouane Fellaini shoved, and Romelu Lukaku looked for spaces. The odd formation, an asymmetrical combination of three centerbacks when with the ball, augmented by improvised right-back Nacer Chadli while defending was flexible and dynamic, with role swaps intended to disorient the French structure. But none of that mattered, as Belgium failed to ramp up the pace after falling behind, and although tempting-looking crosses and ambitious shots were produced, Hugo Lloris was rarely troubled. In the aftermath, Martinez praised his team for a "magnificent" effort, and while it might have felt that way on the sidelines, the more battle-hardened French made the Belgians look impotent. A semi here is one step better than the quarter-finals in Brazil four years ago, but it is not clear if they will have another shot in Qatar, with a defense that is starting to look creaky already. 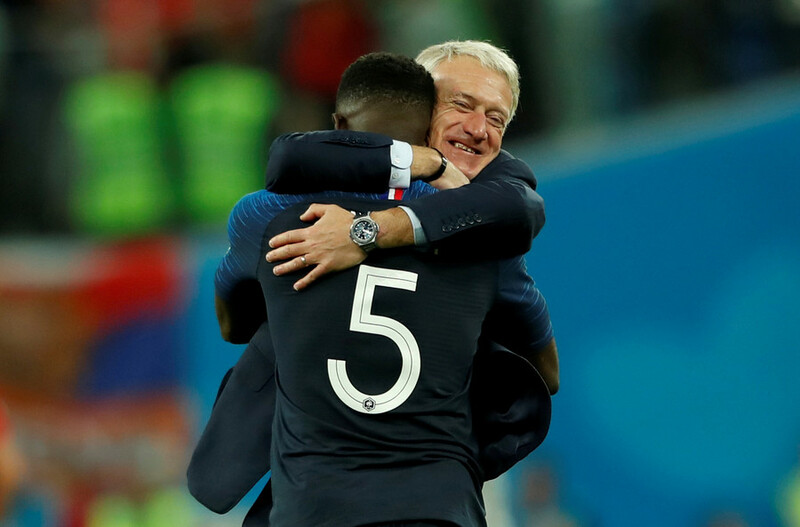 Understandably, Deschamps also sounded satisfied with hard-edged heroes, but for those hoping for a fitting finish to a superb World Cup, the two teams still to play each other on Wednesday will have to take up their full quota of goals, twists, and passion.